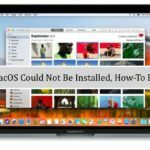 Many Users that recently upgraded their MacBook to macOS High Sierra are getting overwhelmed with an error/warning message. The message suggests that the OS High Sierra needs to repair library. Users report seeing this message multiple times during the day which can be very annoying, to say the least. 1 Check Your Hard Drive Storage Availablity! 1.1 High Sierra Taking Up Too Much Space? Cannot Close Photos Library? 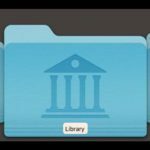 Stuck on Closing the Library Message? Fix it today! Check Your Hard Drive Storage Availablity! According to Apple, High Sierra requires 14.3GB of available storage to perform an upgrade and then upon completion, needs about 1.5GB more storage space than macOS Sierra 10.12.6. So make sure your hard drive has plenty of space. And if not, consider cleaning out some older files. 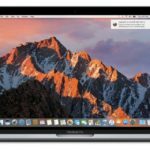 High Sierra Taking Up Too Much Space? If you’re finding High Sierra is taking up more space than the specs above, please restart your Mac and see if it cleans up some lingering installation files. High Sierra should not take up your entire Mac’s SSD! 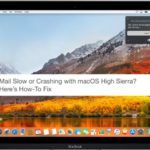 If you are facing this issue following the upgrade to macOS High Sierra, here is how you can fix this problem. It is essential to check if you are getting this message randomly or if you see this message only while trying to open specific apps. A common app where repair problems show up in the Photos App. If your Photos on your MacBook do not open or quit unexpectedly, it might be due to library errors. The best thing to do is to press down Option and Command keys while trying to open the App. Next, Click the ‘Repair’ option in the following dialog to get the repair process going. This process can take some time, but it usually fixes any inconsistencies that it finds. Follow along with detailed step-by-step instruction on repairing Photos Library in this article. If you are getting the error message on a random basis irrespective of which App you are using, you can try and run First Aid. Once the First Aid process has completed, Restart your MacBook and check if you are still facing this issue. If you are facing the issue even after you have done the first aid, you may have to reset permissions for your account to get this fixed. 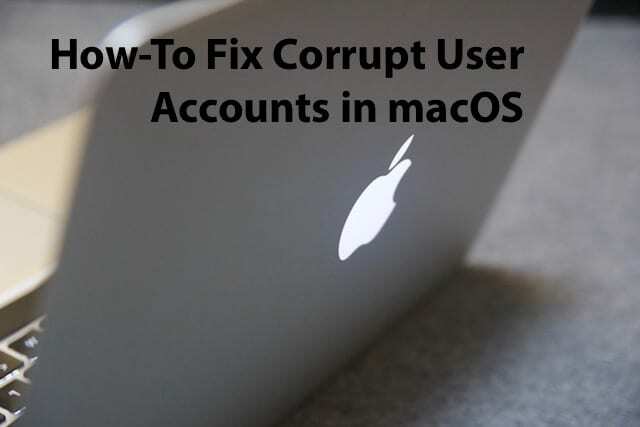 Please follow the detailed step-by-step article that shows you how to fix corrupt user accounts and permission issues. If you use Time Machine or another backup tool, you can downgrade to Sierra using these backups. You lose whatever new data is on your Mac since your update to High Sierra, so back up those files individually to a thumb drive or Dropbox, Google Drive, etc. Follow the on-screen instructions to restore and practice patience–this often takes a lot of time! We hope that you found this short article helpful in dealing with this annoying error message on your MacBook. Please let us know in the comments below if you have any questions or comments. It’s because the operating system is too big for the computer. The operating system uses 118GB for High Sierra and my MacBook Ait only has 121GB total. 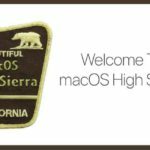 High Sierra is not suitable for my Mac. Can I go back to the old OS? 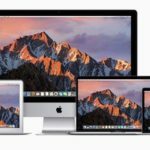 According to Apple, High Sierra requires 14.3GB of available storage to perform an upgrade and then upon completion, should require just 1.5GB more storage space than macOS Sierra 10.12.6. So if you’re finding High Sierra is taking up all that space, please restart your Mac and see if it cleans up some lingering installation files. High Sierra should not take up your entire Mac’s SSD. 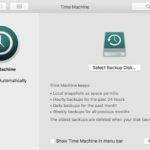 If you use Time Machine or another backup tool, you can downgrade to Sierra using these backups. You will lose whatever new data is on your Mac since your update to High Sierra, so backup those files individually to a thumb drive or Dropbox, Google Drive, etc.